New Horizons Middlebury is a five-unit, accessible community-based apartment complex. 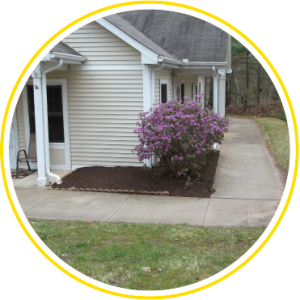 Our affordable housing is fully accessible for seniors and/or adults with physical disabilities. Each apartment has a spacious design and is furnished with modern appliances. 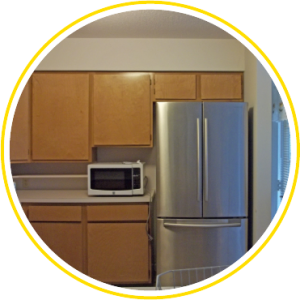 The location of our apartments is in a safe and quiet area of Middlebury, a sought after Connecticut town. My name is Harold Olcese, and I’m a resident of New Horizon’s apartment complex in Middlebury, Connecticut. 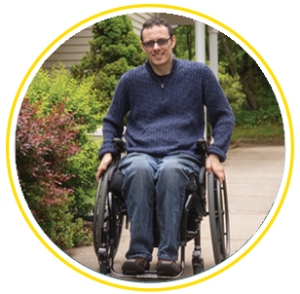 In the summer of 2001, at just 20 years old, I made a decision that left me paralyzed and wheelchair bound for life – I dove head first into a shallow pool and broke my neck. Becoming a quadriplegic was easy; living as one—even to this day—remains an immense challenge. I had to learn to dress and feed myself, and how to live as a quadriplegic in a very inaccessible world. I had no idea where to even begin looking for an apartment, let alone an accessible one. I felt like it was a hopeless endeavor—that I could never have my own place. I needed a place with a shower I could wheel into; I needed a place that took care of snow removal, landscaping and all the attendant things to a regular home. I needed a place that was safe, local, and had adequate parking; also, I needed a place that was affordable. Nevertheless, the dominant theme was wheelchair access. I’ve never been able to get into the houses of the people I’ve known throughout my sixteen years in a chair—unless they carried me in. Houses are just normally not designed with the disabled taken into consideration. Whether it was fate, or an extraordinary stroke of luck, I cannot say; though I did indeed luck out finding New Horizons Middlebury.